A recent study by Medicine & Science in Sports & Exercise shows that 50 is the new 20! Here at Gil Travel, we would tend to agree with a statement like this. We believe that age is just a number on an ID, not a statement on how we should live our lifestyles. If you're 55 or older, but feel like you're still twenty years old at heart, you may find yourself with that same youthful longing. The saying always goes, "Travel while you're young!" but if you're lively and active, who says the traveling needs to stop? For those who are looking to continue their journeys throughout the world, Gil Travel has the perfect tour to offer you: our upcoming trip on a Jewish Heritage tour of Portugal! This trip is designed to feed the wanderlust in your childlike souls. 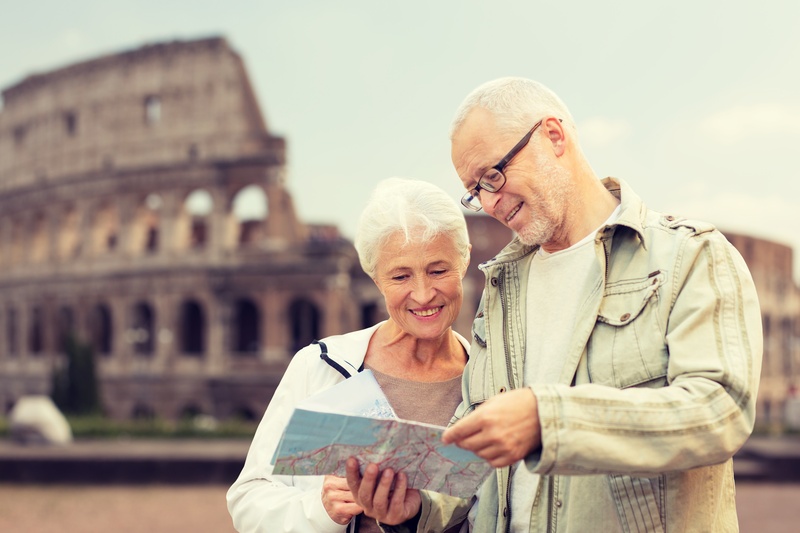 Not only will you be residing in luxurious boutique hotels, exploring charming cities, and learning of fascinating Jewish heritage, but you'll also be meeting other active seniors! This is a great way for you to not only experience a trip culturally, but communally as well. In essence, the real allure of the tour is the small group size. With such intimate exposure to one another, everyone will be able to fully connect and truly become close. By the end of the nine day tour, strangers will become family. So what are you waiting for? Experience Portugal like never before! Join us this June when we travel overseas for the trip of a lifetime.